Interlinc Provides great insight into current music and Christian influence for youth leaders all over the nation. Sitting at the keys in a theater in downtown Miami, GAWVI, the producer, DJ, and Dove Award winning songwriter crystallizes his reasons for doing creative work to just a few words: “My passion is to motivate and inspire, to urge people to tap into the potential inside them.” He’s playing a few notes, enjoying the lull of a quiet venue before it fills with thousands of screaming fans and supporters. Truth is, it wasn’t always like this. He wasn’t always rocking packed out shows, but he did know it would someday be his reality. Some might call it confidence in one’s ability, but GAWVI understands it as having a firm grasp on the greater purpose for which he was created. 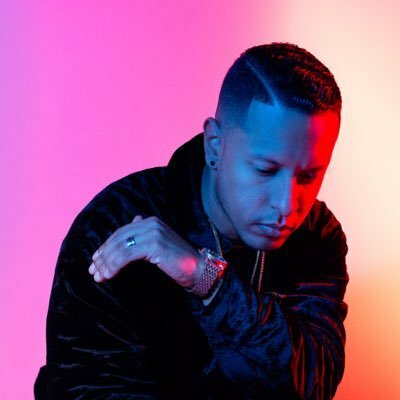 Gabriel Alberto Azucena (born September 23, 1988), who goes by the stage name Gawvi, formerly G-Styles, is an American Christian hip hop artist and music producer for Reach Records. His career commenced in 2008, doing production work for Lecrae and Trip Lee, who continue to be his most consistent collaborators. In early 2016, he was officially signed to Reach Records. He started his music production career in 2008, most notably working with Lecrae and Trip Lee. His career led to him acquiring a recording contract with Reach Records as both an artist and in-house record producer. He won a GMA Dove Award at the 46th GMA Dove Awards in the category of Rap/Hip Hop Album of the Year, for his production work on Anomaly by Lecrae. In 2016, Gawvi released 2 EP’s: Lost In Hue and Holding Hue.